Charles Caudrelier’s Dongfeng Race Team, the overall leader of the Volvo Ocean Race, has spent the past 24 hours grinding down leg leader Team Brunel and as of Saturday afternoon, is nearly in position to make a pass. 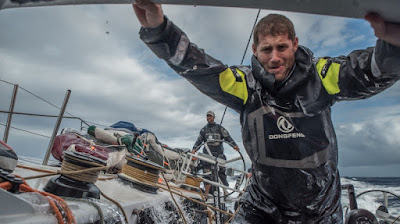 On Friday at noon UTC, Brunel had a 12-mile lead over Dongfeng. 24 hours later the advantage is less than three miles, with the red boat in sight and sailing directly behind Bouwe Bekking, making up distance slowly but surely.